Did you know that some say that lectins – a substance found in beans – can do your body harm? Here are the facts. This episode features audio from Dr. Gundry’s The Plant Paradox is Wrong, How to Avoid Lectin Poisoning, and Are Lectins in Food Good or Bad for You?. Visit the video pages for all sources and doctor’s notes related to this podcast. Our subject today – is worth a hill of beans – at least. 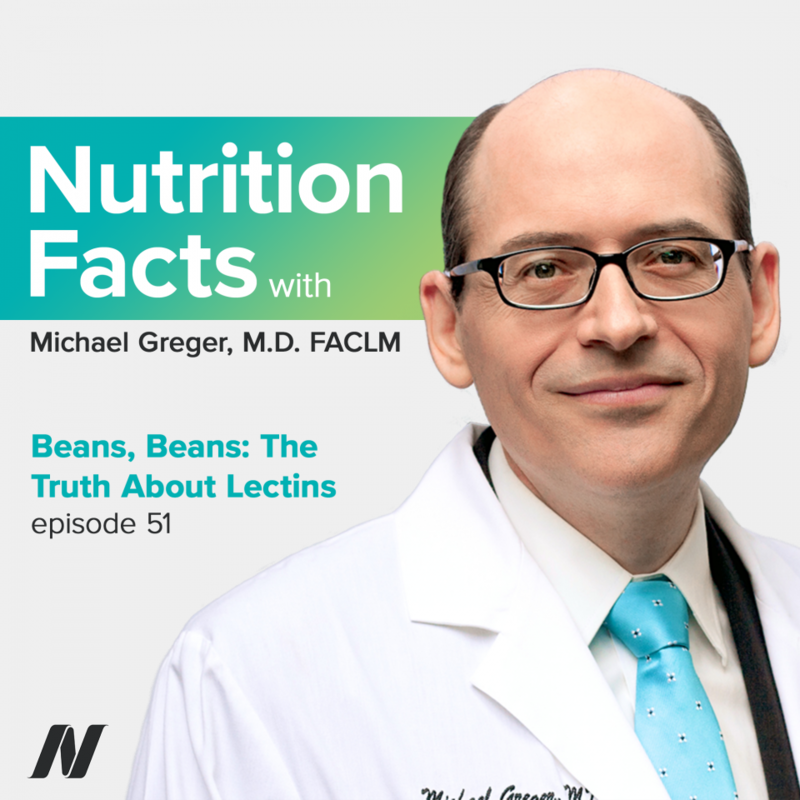 Did you know that there are some people that say that lectins – a substance found in beans – can actually do our body harm? One of the best ways to avoid problems with lectins is to cook beans properly. In the 1800s, a compound was discovered in castor beans, which we would come to know as the first of a class of lectin proteins—natural compounds found throughout the food supply, but concentrated in beans, whole grains, and certain fruits and vegetables. Every decade or two, in the popular literature, and the medical literature, a question is raised whether dietary lectins are causing disease. It’s easy to raise hysteria about lectins. After all, that first one, found back in 1889, went by the name ricin, known to be “a potent homicidal poison”, used by the Kremlin to assassinate anti-Communist dissidents—or by rogue chemistry professors, for that matter. And, ricin is a lectin. Thankfully, however, “many lectins are non-toxic, such as those [found in] tomatoes, lentils,…and other common foods.” And, even the ones that are toxic—like those found in kidney beans—are utterly destroyed by proper cooking. But, you can’t eat raw kidney beans. If you do, you’ll be doubled over with nausea, vomiting, and diarrhea within hours, thanks to the lectins, which would otherwise be destroyed by adequate cooking. How do you even eat raw kidney beans, though? I mean, the only way they’re sold uncooked is as dried beans, and they’re like little rocks. Well, in the first reported outbreak, “an impromptu supper was made” with a bag of beans dumped in a skillet, and soaked in water overnight, but never cooked. You can’t even just throw dried beans in a slow cooker. Dried kidney beans have to be boiled. Kidney beans should be soaked in water for at least five hours, and then boiled for at least ten minutes. Ten minutes? Kidney beans wouldn’t be done in just ten minutes. Exactly. Yeah, cooking presoaked beans for a couple minutes can destroy the lectins, but it takes like an hour of boiling before they’re edible, before you could, you know, flatten them easily with a fork. So, the lectins would be long gone before they’re palatable. We’ve known since the early ‘60s that “conventional cooking methods [can] effectively destroy” lectins in beans, and therefore, “it is possible to ignore any human…problems that could be associated with lectins from properly processed legumes.” So yeah, you can show that feeding lectins to rats isn’t good for them, or to cell tissues in a Petri dish. But, in these articles that claim dietary lectins may be “disease causing toxicants”, the only negative effect they can find on humans are those raw and undercooked kidney bean incidents. Do dietary lectins cause diseases of affluence? How about we test that hypothesis? So, they “performed a trial on 24 domestic pigs”, and a Paleo-pig diet beat out cereal-based swine feed. Could they not find any people willing to eat Paleo? In response to one such review of the evidence, based largely on laboratory rodents, one peer-reviewer cautioned that we should not draw conclusions about the involvement of dietary lectins in the cause “of diseases without definite and positive proof.” That was written more than a quarter century ago, and no such clinical proof has yet to materialize. What we do have, however, is ever-growing evidence that legumes—beans, split peas, chickpeas, and lentils—are good for us, associated with a longer lifespan, a significantly lower risk of colorectal cancer (a leading cancer killer), considered part of “a natural, cost-effective, and free from side effects solution for the prevention and treatment of [type 2 diabetes].” Randomize people to eat five cups of lentils, chickpeas, split peas, and navy beans a week, and you can see the same benefits in terms of weight loss and metabolic benefits that you do with caloric-restriction portion control. And, the whole lectins theory is based on lectin-containing foods being inflammatory. But, prescribe four servings a week of legumes, packed with lectins, and get a significant drop in C-reactive protein—in fact, a 40% drop of this leading indicator of systemic inflammation, eating more beans. The purported “plant paradox” is that on one hand, whole healthy plant foods are the foundations of a good diet, yet we supposedly need to avoid beans, and whole grains, and certain fruits and vegetables, because of the evil lectins. But, if you look at the actual science, all whole plant foods are associated with decreased mortality—meaning the more of them people ate, the longer people tended to live. And, this includes lectin-filled foods, such as whole grains and beans. So, maybe there’s really no paradox, after all. Might lectins help explain why those who eat more beans and whole grains have less cancer? Here’s the research. Lectins are to blame for the great “white kidney bean incident” of 2006 in Japan. One Saturday evening, a TV program introduced a new method to lose weight. The method was simple: toast some dry raw white kidney beans in a frying pan for three minutes, grind the beans to a powder, and then dust it on their rice. Within days, a thousand people fell ill—some with such severe diarrhea and vomiting they ended up in the hospital. Why? Lectin poisoning. Three minutes of dry heat is not enough to destroy the toxic lectins in kidney beans. If you don’t presoak them, you need to boil large kidney beans for a full hour to completely destroy all the lectins—though if you first soak them overnight, 98% of the lectins are gone after boiling for just 15 minutes, and all gone by half an hour. And indeed, when they tested the white beans, toasting for three minutes didn’t do a thing; no wonder people got sick, whereas 95% of the lectins were inactivated after boiling them for three minutes, and completely inactivated after ten. Evidently, “’Do not eat raw beans’ is a traditional admonition in Japan to [avoid] intestinal problems”—and now, we know why. While canning may completely eliminate lectins from most canned beans, some residual lectin activity may remain in canned kidney beans—though apparently not enough to result in toxicity. And ironically, “[l]ow doses of lectins may be beneficial by stimulating gut function, limiting tumor growth, and ameliorating obesity.” What? I thought lectins were toxic. For as long as people have speculated dietary lectins are harmful, others have conjectured that they may be protective. “If this theory is correct, appropriate lectins by mouth should be of use in the [prevention] (and possibly treatment) of colon…cancer.” Or, of course, we could just eat our vegetables. Interest in the purported “antitumor effect of plant lectins” started with the discovery, in 1963, “that…lectins could distinguish between [cancer cells] and normal cells.” Researchers at Mass General found a substance in wheat germ—the lectin in whole wheat—which appeared “to be tumor cell specific”—clumping together “the tumor cells, while the normal cells” were left almost completely alone. So specific that you can take a stool sample from someone and, based on lectin binding to the colon lining cells that get sloughed off into the feces, you can effectively predict the presence of polyps and cancers. And subsequently, it was discovered that lectins couldn’t just distinguish between the two, but extinguish the cancer cells, while largely leaving the normal cells alone. For example, that same white kidney bean lectin was found to almost completely suppress the growth of human head and neck cancer cells, liver cancer cells, breast cancer cells, and (at least most of the way) cervical cancer cells—within about three days. But, this was in a Petri dish. That’s largely the basis of the evidence for the antitumor activity of plant lectins—these Petri dish studies. How do we even know that dietary lectins are absorbed into the body? Colorectal cancer is one thing. I mean, the fact that lectins can kill off colon cancer cells in a Petri dish may be applicable, since lectins we eat may come in direct contact with cancerous or precancerous cells in our colon—”providing a mechanism [by which bean consumption may help in] the prevention and treatment of colorectal cancer.” Or, even more exciting, the potential for effectively rehabilitating cancer cells. “[T]he loss of differentiation and invasion are the…hallmarks of malignant [tissues]”—meaning that when a normal cell transforms into a cancer cell, it tends to lose its specialized function. Breast cancer cells become less breast-like; colon cancer cells become less colon-like. And, what these researchers showed, for the first time, is that the lectin in fava beans could take colon cancer cells and turn them back into looking more like normal cells. 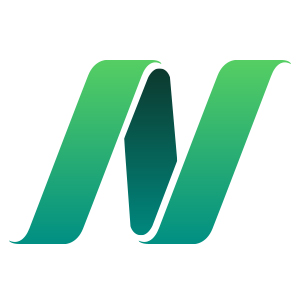 Therefore, dietary lectins, or putting them in a pill or something, “may slow the progression of colon cancer[s],” potentially helping to explain why dietary consumption of beans, split peas, chickpeas, and lentils appears to “reduce…[the] risk of colorectal cancer,” based on 14 studies involving nearly two million participants. Okay, but what about cancers outside the digestive tract? “Although lectin-containing foods [like beans and whole grains] are frequently consumed cooked or otherwise processed, these treatments may not always [completely] inactivate the lectins…For example, lectins have been detected in roasted peanuts.” Peanuts are legumes, and we don’t tend to eat them boiled, but just roasted, or even raw. Yeah, but are we able to absorb the lectins into our system? Yes. Within an hour of consumption of raw or roasted peanuts, you can detect the peanut lectin in the bloodstream of most people. Same thing with tomatoes. Some of the non-toxic lectin in tomatoes also makes it down into our gut and into our blood. The wheat lectin, known as WGA, the wheat germ agglutinin, doesn’t seem to make it into our bloodstream, though, even after apparently eating the equivalent of more than 80 slices of bread’s worth of wheat germ! And, if you ate something like pasta, the boiling might wipe out the lectin in the first place, anyway. Here’s a book that purported to expose the “hidden dangers” in healthy foods. My take on it? It doesn’t even pass the whiff test. Earlier this year, I started getting emails about this book, The Plant Paradox, purporting to expose “The Hidden Dangers in “Healthy” Foods That Cause Disease and Weight Gain”—foods like beans, and whole grains, and tomatoes. Why? Because of lectins, which is a rehashing of the discredited Blood Type Diet from decades ago. They just keep coming back. Yeah, but this was written by an M.D., which, if you’ve seen my medical school videos, you’ll know is effectively an anti-credential when it comes to writing diet books—basically advertising to the world that you’ve received likely little or no formal training in nutrition. Dr. Atkins was, after all, a cardiologist. But look; you want to give the benefit of the doubt. The problem is that it doesn’t even seem to pass the sniff test. I mean, if lectins are bad, then beans would be the worst, and so bean counters would presumably find that bean eaters cut their lives short, whereas the exact opposite may be true with legumes (beans, split peas, chickpeas, and lentils)—found to be perhaps the most important dietary predictor of survival in older people in countries around the world. As Dan Buettner points out in his Blue Zones work, lectin-packed foods “are the cornerstones of” the diets of all the healthiest, longest-lived populations on the planet. Plant-based diets in general, and legumes in particular, are a common thread among longevity Blue Zones around the world—the most lectin-lush food there is. And, if lectins are bad, then whole grain consumers should be riddled with disease—when, in fact, “whole grain intake is associated with a reduced risk of coronary heart disease,” the #1 killer of men and women; strokes, too; and total cancer; and mortality from all causes put together—meaning people who eat whole grains tend to live longer, and, get fewer “respiratory diseases, infectious diseases, diabetes, and all non-cardiovascular, non-cancer causes” to boot. And, not just in population studies. As I’ve shown, you can randomize people into whole-grain interventions, and prove cause-and-effect benefits. The same with tomatoes. You randomize women to a cup and a half of tomato juice or water every day, and all that nightshade tomato lectin reduces systemic inflammation, or has waist-slimming effects, reducing cholesterol, as well as inflammatory mediators. But, you still want to give him the benefit of the doubt. People ask me all the time to comment on some new blog or book or YouTube video, and I have to sadly be like, look, there are a hundred thousand peer-reviewed scientific papers on nutrition published in the medical literature every year, and we can barely keep up with those. I mean, that’s unbelievable. That’s the opposite of the truth. Add egg yolks to people’s diets, and their cholesterol goes up. I mean, how dare he say this? And, it’s not like some, you know, harmless foolishness like saying the Earth is flat or something. Heart disease is the #1 killer of men and women—this could actually hurt people. So much for my benefit of the doubt. I think that there are many things in a “healthy” vegan diet that would ideally be eaten by everyone, all the time, BUT some people have gut problems that need clearing up first. My experience is that years of ‘bad food’ (or perhaps other environmental variables), combined with some ‘bad genes’, has left my gut in a very vulnerable position. It needs sorting out and healing first before it can manage many of the items on a “normal” vegan diet.. think gluten, lectins and phylates; soy, nuts and even high salicatyes vegetables might be contributing to problems.. Maybe you need to do research on how people with ‘bad genes and gut problems’ can transition to a vegan diet because I remain convinced it is making me sicker than before; or maybe I’ve just overdone the vegetables, beans and wholegrains. I can’t really tell, but from what you mention it sounds like you are not eating enough fruit. If you need to heal your gut, try eating only fruits and a few leafy and/or cruciferous greens when you feel like it’s needed. That’s about what I worked out.. fruit and vegetables… forget protein.. but hardly a great idea for the many months/years needed to heal a gut.. definitely need a ‘transitioning to vegan’ resource for people with bad genes and multiple food intolerances on their way to multiple autoimmune diseases…with virtually all protein leaking into body to poison it. I have Crohn’s and my gut seemed to get worst every time I tried going vegan too over several years but now I’ve been vegan for 18months after going cold turkey vegan with no issues. The only difference being was a probiotic (I make sure I have b infantis in it as suggested by my specialist). I’m not sure if that was the difference though maybe I pulled the plug on my vegan challenge too early the other times but going to Vietnam for a month which forced me to stay vegan and I was only better for wear. My diet is also far more diverse now; before it was like what you describe a diet of avoidance, where I mostly just had foods I found safe on my stomach (eggs, tinned spaghetti, juice mostly). Now I essentially have everything (except meat, fish, eggs and dairy) and my stomach is better than it was when I was on a diet of avoidance. Thanks for sharing your experience and confirming that there can be genuine health problems changing diets; It’s the grains that worries me most (as these are more important for me in vegan than before) since the ‘bad genes’ that go with gluten really do cause really bad problems (not just stomach ache or coeliac disease) but many other really serious autoimmune conditions that I don’t think those promoting the vegan diet (wholegrains, fruits and vegetables, pulses etc.) realize. Glad that you eventually transitioned ok. I think those with gluten problems and autoimmune diseases flaring up because of it need LOTS of advice that is just missing from this website and all I’ve read in the books associated with this website. How did you succeed, gee, in going vegan? Would you share your experiences, please? , that is not a bad thing. 1/4 cup beans, that is. Yes, I agree. It’s not the fault of the food, but rather something that went wrong with our bodies, whether genetic, environmental, due to antibiotic use or whatever. Those of us with intestinal permeability issues may suffer more with the greater quantity of plant foods. I still manage to eat the DD every day, even though I cannot tolerate nightshades, gluten, dried fruit, mushrooms, nutritional yeast, peanuts, cocoa, and many other foods. I just keep expanding the variety–the modern world has MANY types of plant foods to offer us! I am so glad I now know of the existence of NutritionFacts.org. Excellent comments of this site. Here we go with another stupid food trend to follow blindly. In this overly sanitized world it’s no wonder people are becoming ‘allergic’ or ‘sensitive’ to foods and allergens. Peel the tomato skin and squeeze the ‘guts’ out from the inside to make the sauce. Duh. I’m not peeling tomatoes before I put them in a salad. Sorry. I’m not going to have a heart attack or die if I eat a few tomatoes per week. Canned beans are perfectly fine to eat. Cooked peppers in a stir fry is not going to kill you over time. What else? Oh yeah. Everything! I guess I should just eat raw kale & steak 24/7. Lol. What about lectins in nuts, seeds, and cocoa? Is it any different from lectins in beans and vegetables? A little confused after listening. It sounds like he’s saying “Fuhrman” not “Gundry” when talking about the book and skincare line etc. Aren’t those two totally different diets? The memberships and supplement gimmicks may be in common but that’s about it. I have to admit, I am pretty oversaturated with diet and nutrition information that is just propaganda to sell things I have seen enough science to convince me that wheat and gluten should be eaten in minimal amounts in our diets and that we should eat a variety of many vegetables, especially green leafy types, that little meat should be taken in, and as many organic products as possible is best to use. The more I read and research, the more convinced I am that lections cook out of most foods making small amounts of anything plant-based pretty safe and even healthful if we do not get too much of the same thing over and over. Mix it up and eat mostly vegetables, avoid milk and dairy almost completely(on special occasions for desserts or something like this) or entirely, and I think we will all be better off for the most part. I was going to do the Plant Paradox diet, but it is unnecessarily restrictive, and so I am just going to go somewhat less on the grains, eat even more vegetables, and restrict dairy to the occasional spoon in my dough to make it fluffier, or in a pudding pie every few months. These will not kill me and will make life more enjoyable. I have never believed in a diet plan perse, and the more I research the more certain I am that we just need to eat healthy choices at all times, making whole foods, and homemade items that are chocked full of nutrients to our own taste.